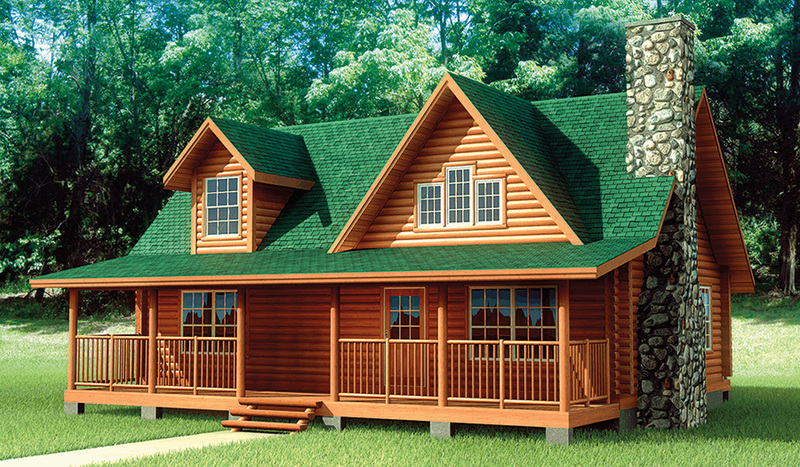 The Pleasant View is the perfect home for the couple that desires a traditional log home that is sensibly designed for every member of the family. The exterior features the popular full-length front porch and eye-catching oversized dormer that provides natural light for the living room. The living room also has a large fireplace and cathedral ceiling with exposed timbers. The open-concept kitchen has a serving island and pantry area beside the rear entrance. 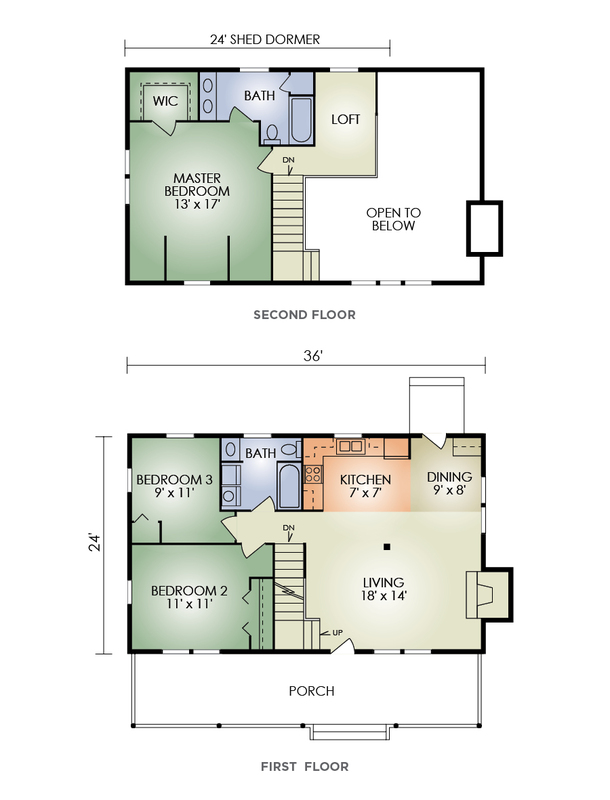 Upstairs, the master suite includes the bedroom, walk-in closet and private bath. Altogether, this home provides eye-catching appeal in a functional floor plan at an affordable price!